"We talked for an hour in the presence of a prison guard." Ukrainian consuls visited Pavlo Hryb on Monday, 18 September in a pre-trial detention centrу шт Krasnodar, his lawyer Andrey Sabinin has said on Facebook. "Consular workers met Pavlo in the presence of a prison guard who prevented them from discussing some issues. The jail administration did not allow prescription drugs to be handed over to Pavlo," the lawyer said. The father of Pavlo Hryb, Ihor, gave details of his son's condition on the air of 112 Ukrayina TV. "In violation of all norms, they were not allowed to speak Ukrainian to my son, although there are interstate agreements. They forbade asking questions about the case," Ihor Hryb said. He said Pavlo is subjected to intensive interrogations. "The arrested Ukrainian does not receive the necessary medications, although, as the consuls say, he has some bumps on his neck, face and body. They may indicate that Pavlo's liver is failing. He has to take medicines, a continuous drug support that he has not received for a month now," he said. Earlier, the Ukrainian Foreign Ministry demanded that Russia allow Ukrainian doctors to examine Hryb. It said that on 11 September, the European Court of Human Rights said that the Russian Federation must inform the court before 25 September about the state of Hryb's health and the medicines recommended for him. 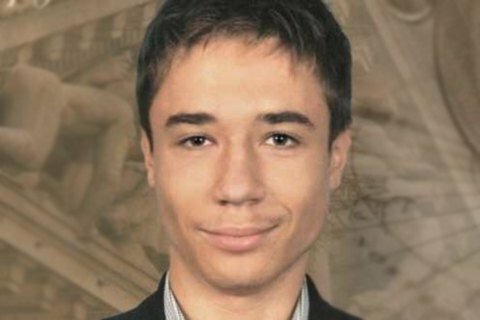 Pavlo Hryb went to Belarus's Homyel on 24 August to meet a girl he met on the Internet, and was abducted by the Russian security service which suspects him of terrorism. Pavlo Hryb did not serve in Donbas and has a disability. His father believes that his son was abducted because of his patriotic views. Germany to consider participation in "Marshall Plan for Ukraine"